Life in 27 has moved to djuanTRENT.com! : Titus and Beyonce and Me...and You. I remember the first time I heard Beyoncé's "Pretty Hurts". I was offended. And then I watched the visual for the song. I was mad. For those of you who don't know: I love Beyoncé. And one day, Beyoncé and I will be best friends. I know many people have set this goal in life, but let it be known that I am at the top of Beyoncé's "Future Best Friends" List. She told me. I suppose that is a Beyoncé-lover disclaimer of sorts. So, back to "Pretty Hurts". I listened to the song and I watched the video and my initial thoughts were as follows: "Oh no she didn't! Did Beyoncé just try to come for me and all my pageant ladies??? Oooh, hunty! She triiied it! She really tried it!" I even called my mom, like "Have you seen/heard this mess?! I'm going to write a blog about it! I have so many things to say! "So here I am, four months later, writing a blog about it, but with much different perspective than I had four months ago. I looked out my bedroom door, and this little stinky pup was slinging his toys down the stairs, running down the stairs to pick them up, running back up the stairs, rinse and repeat. Titus was playing fetch with himself. Titus had decided that what he needed was play time, and that he was going to get that whether it came from me or not. He was taking care of himself. SELF CARE. One of the blessings of the "Super Woman Complex" is that you can kick it into overdrive at anytime and get everything done...ummm...duh, because that's what Super Woman does. One of the curses of the "Super Woman Complex" is that sometimes you kick it into overdrive by any means necessary, which can sometimes come at the expense of sacrificing/neglecting yourself. For years, I have watched some of my closest friends do it all and have it all, seemingly. And I always thought to myself, "I don't know how she does it. She never has any time for herself. I could never do that. I just HAVE to have time for myself." And now, in the past year, I have seen those women take a step back, reevaluate, and prioritize, putting self-care at the top of their lists. That, to me, is beautiful. And now, I find myself in the exact position that I said I would never. Constantly on the go, calendar full of stuff, doing all of the things and no time for me. Am I complaining? No. No way. By no means am I complaining. I am acknowledging that in the midst of all that I have had going on for the last six months, I have failed to prioritize and honor my own care. That is something that I definitely am not proud of. I work...a lot. The little time that I do have away from work is usually filled with meetings, interviews, emails, events, travels. I love it. But, when I do have a little time in between all of that, I try to spend it with my friends...which sometimes gets cancelled because my bed is so jealous and makes it hard to leave. And then I am sad. I realize that I really do want to have it all, and I believe that I can. I would dare to say that the lesson I am learning here is to importance of moderation and prioritization. If I do not take care of myself, one day I will burn out. And then I will not be able to do all of the work and have all of the fun. 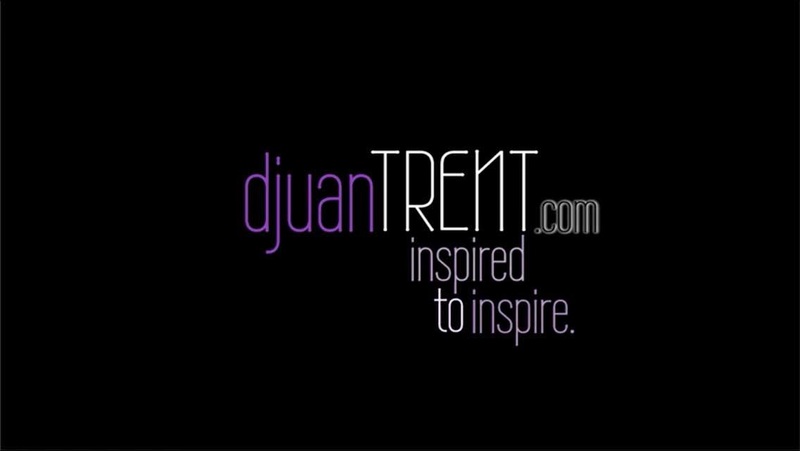 I will just be a little crispy, burnt up, remnant of someone you used to know by the name Djuan Trent. I don't want to be a little crispy, burnt up remnant. I want to live and I want to thrive. And I want to have it all!- in moderation of course. So, big thanks to Titus, who's actions started as an annoyance but ended up serving as inspiration and an important lesson. And also to Beyoncé and "Pretty Hurts", which I am about to tie in. I know you are probably reading this and thinking, "This poor thing is all over the place. She is dillusional. She started off talking about Beyoncé and now she's talking about her dog and being a crispy, burnt up thing." Don't worry, this is the part where I bring it back around. So, I sat down to write today, and browsed through a couple of different articles, hoping to pull a little more inspiration from something in the world. I had just finished reading a story and was about to close the window, when I saw a picture of Beyoncé in the side panel...well, of course I had to click it. I opened the article which was about four months old. It shared the links to Beyoncé's explanation of her visual album, which I had watched/listened to before, but only in the background of doing something else. I decided to watch the videos again, this time giving them my full attention. I didn't have to get far to find the piece that would complete the inspiration I needed. Beyoncé was talking about what the lyrics and visual for "Pretty Hurts" meant to her. She talked about looking at her trophies and feeling that they represented all of the little parts of life that she didn't get to live because she was so busy doing and being everything. Granted, her doing and being everything has paid off in many ways, but she is now realizing that you absolutely must take the time to live and enjoy life and tend to yourself. We can spend so much of our time and our lives doing and being everything, but what do we really gain if at the end of the day WE are not happy with WE, and WE are not taking care of WE. The world will tell you to work hard now and play later, but lest we forget that we will never get "now" back and "later" is not promised. The world doesn't stop if you come up short of being perfect. But you will stop if you come up short of self-care. I am realizing that we don't have to get to the point of being burnt out to realize that we are not truly living. I don't want to look back on my life and feel like I need to make up for lost time or be sad for the things that I didn't do. I want to look at my life in the present moment and celebrate and live. So, here's to life and self care. Cheers!